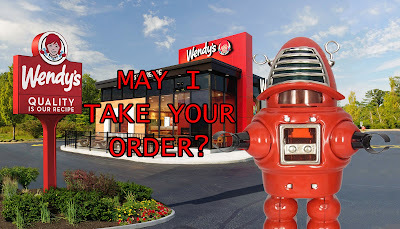 Jared Unzipped: Wendy's Self-Service Kiosks Signal Bad Times Ahead For Teenage Workers. Wendy's Self-Service Kiosks Signal Bad Times Ahead For Teenage Workers. Wendy's has announced that they'll be doing a nationwide launch of self-service kiosks in their 6,000+ restaurant locations. Instead of a thirty-something mother of five with a neck tattoo taking your order, a robot will do it with much less complication (and no mistakes). Executives with Wendy's point to rising wages as the reason for the self-service kiosk expansion. In states like California and New York, the minimum wage has recently gone above ten dollars an hour (with some cities at $15 per hour). Since we've yet to learn how to grow money on trees, the kiosks are a natural alternative for offsetting labor costs. Less employees and more kiosks help Wendy's meet their bottom line and turn a profit. It's as simple as that. Of course, there's a downside to this whole turn of events. 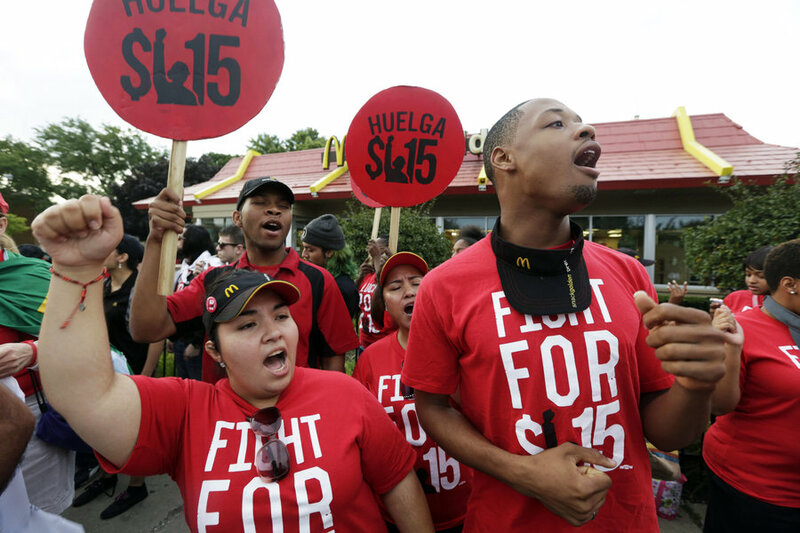 The short-sighted fast-food employees that have been pushing for a $15 minimum wage will soon see themselves without a job at all. For teenagers whom are looking for their first job, they'll now find themselves competing with a computer. Guess who is going to lose 99% of the time. Idiots like this are why teenagers will soon be competing with robotic self-service kiosks for jobs. While I'm actually thankful to see a large corporation move towards self-service for order taking (something companies like Sheetz have done successfully for many years), I'm also sad to see the realm of teenage employment shrink even further than it already has. Working at a fast-food restaurant is not a career. It's a pit-stop for young people to learn how to be responsible and earn a paycheck. And yet, fast-food work has been held hostage by grown adults unwilling to do anything else, much less better themselves for more reasonable employment opportunities. These fools have demanded $15 an hour to do menial work meant for young people. You reap what you sow. I guess you can call this progress?